Nature always knows best. And in nature we often find the best remedies and the things our bodies need the most. Some oils are important to consume and others are good for your skin. Whether for your hair, skin or internal organs, these oils are worth incorporating in your day-to-day habits. Generally speaking, fish is extremely healthy. As we get older, we are told to switch to more fish as a substitute for meats and chicken, as it is lighter, easier to digest and lower in fats and cholesterol. One thing fish oils are full of, though, is omega-3 fatty acids. The omega-3 present in the fish oil helps protect you against cancer and heart disease. Also, it is very important for pregnant women, as it protects the fetus against brain damage. So, whether in the form of pills or by simply enhancing your fish diet, be sure to stack up on this one. This one is a miracle oil; it is amazing for your body, hair and skin. Olive oil helps reduce the bad cholesterol that your body does not benefit from, which is the main cause of heart attacks and heart problems. Cook with olive oil as much as you can, and sprinkle your salad with it. Also, it is an amazing hear treatment. 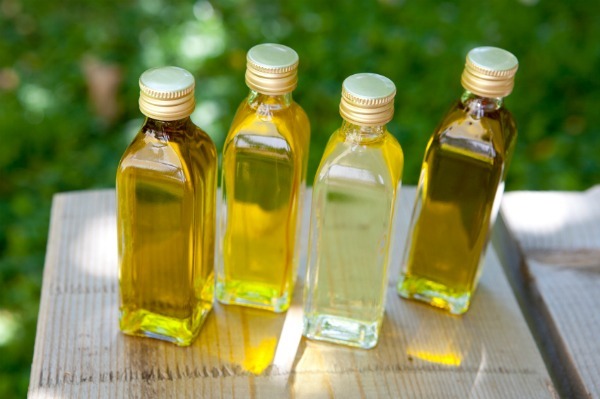 Work olive oil onto your hair and wash it after an hour; it will leave your hair soft and shiny. This softening effect goes for skin, too. It might be a little too oily and the scent might be a tad too strong to use raw, so instead, buy creams with olive oil in them. A woman does not exist who does not suffer from acne and pimples. Whether in high numbers when we are young or those few pre-menstrual cycle pimples we get when we are older, they are annoying and our first reaction is to scratch them away. A dab of tea-tree oil dries them out and works as an anti-bacterial at the same time. It is one oil you want to always have in your bathroom cabinet. This is very easy to incorporate in your diet and a lot tastier than fish oil, too. Flax seeds are rich in the oil, which contains both omega-3 and omega-6 fatty acids, and area great source of fibre, too. If you suffer from high cholesterol this should be your best friend! Sprinkle some flaxseed on your yogurt or cereal every morning and protect yourself from heart disease, high cholesterol and cancer. Almond oil is great for both your face and your hair. It is very rich in vitamin E and vitamin D. Almond oil stimulates hair growth and so is used as a treatment for hair loss. It is also very light and can be used for all skin types without fear of a bad reaction. Use it to lightly massage your face and under-eye area; it prevents dark circles and delays the aging process!